This past Sunday the passage the pastor preached from was, “Blessed are the merciful for they shall receive mercy.” Matt.5:8 ESV. Have you ever wondered, based on this verse and others, if there is a ‘conditional-ness’ to the mercy and forgiveness we receive from God? Take a look at just a few verses later in the same sermon where Jesus says this, “For if you forgive others their trespasses, your heavenly Father will also forgive you, but if you do not forgive others their trespasses, neither will your Father forgive your trespasses. “ Matt 6:14-15 ESV. Is Jesus saying , “Show mercy to others and I will show mercy to you, forgive others and I will forgive you”? Is that really how God interacts with us? Is His mercy and forgiveness extended towards us conditional upon us first extending the same to others? Is this saying that there is a way by which we can actually in a sense, earn the mercy and forgiveness we desperately want, desire and need from God? It can certainly make us think that at first glimpse but let’s dig a little deeper and I think the truth will become clear. At this point in Jesus’ story we want to stand up and shout, “That’s not right! That’s not fair! How could he act like that!”. And that is exactly what our reaction should be. Jesus knew that would be our natural reaction. So it is here that he ends the story with this penetrating question, “Shouldn’t you have had mercy on your fellow servant just as I had on you?” Matt. 18:33. 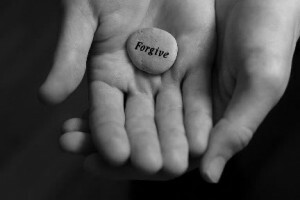 You see, mercy and forgiveness aren’t conditional or a commodity that can be earned. However, for those of us who have received these blessing in great measure, the ability to extend them, in much smaller ways to others, needs to be lived out in us. The Beatitudes begins with “Blessed are the poor in Spirit for theirs is the kingdom of heaven.” Matt 5:3 ESV. If heaven is gained by those who first embrace the poverty of their own spirit, how can anyone who has truly wrestled with the depravity of their own spiritual condition and then received mercy, grace, forgiveness and salvation keep from extending the same to others? The Beatitudes in Matt. 5 are not single, detached statements living in a vacuum from each other but rather building blocks, each one dependent upon the ones before it. Jesus put it best, “You received without paying: give without pay.” Matt. 10:8 ESV. What does it mean if we are unmerciful and unforgiving to people? It doesn’t mean that we haven’t received mercy and grace from God but that we haven’t truly understood and appreciated the mercy and grace we have received. So the next time you are struggling with forgiving someone or extending mercy to them just remember what you have been forgiven from and marvel again in the vast riches of God that have been given undeserved to us. Eph. 2:8-9. We don’t need to exercise will power to do the right thing, we need to reflect on all we’ve received and then practice gratitude to God by giving these out to others.